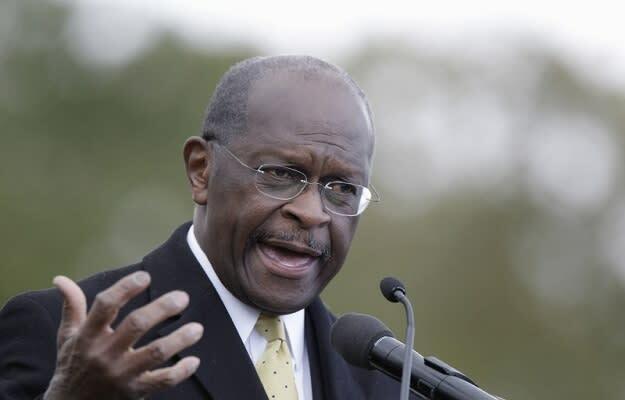 Say what you want about Herman Cain, but we're really going to miss that dude. The former GOP candidate offered quite a lot in the way of entertainment. His run? Anything but bland. In a November interview, Cain made his views known that China indeed posed a potential threat to the United States because "they've indicated that they're trying to develop nuclear capability and more aircraft carriers like we have. So yes, I consider them a military threat." Well, that would've been news back in 1964 (October to be exact), when news broke of China performing its first tests on a nuclear device. You're only 48 years late on that, buddy.